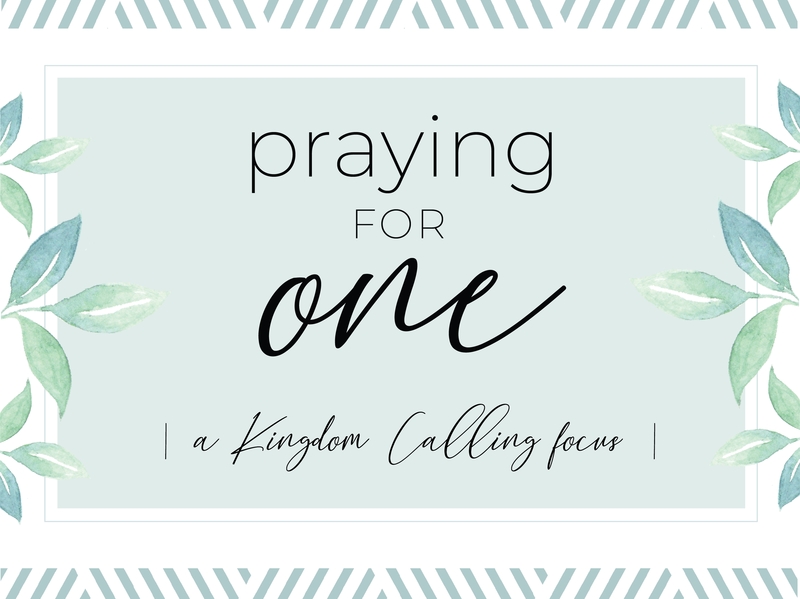 As a church, we want to more and more have God’s eyes and His heart for those around us still lost on their way to Him. 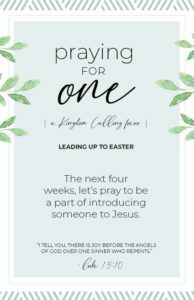 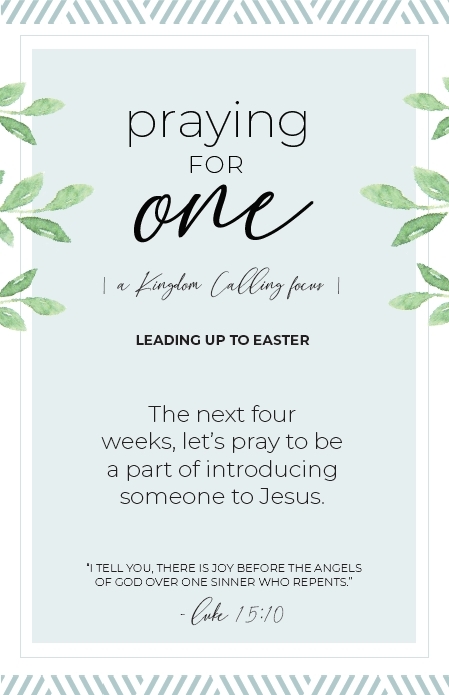 For the four weeks leading up to Easter, we’re Praying for One. 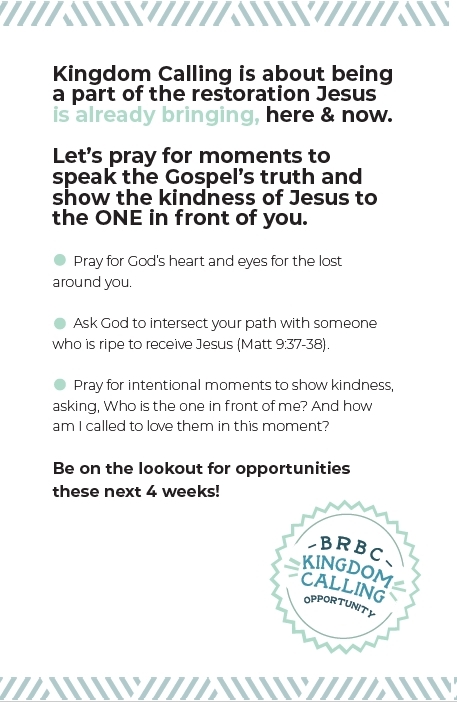 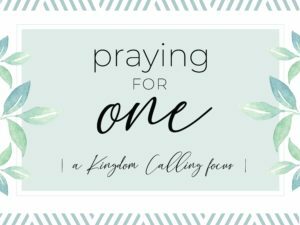 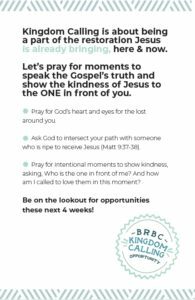 Check out the verses and prayer points below, and stay tuned for more resources – let’s pray to be a part of introducing someone to Jesus!